This novel commences with a man veering off the road and crashing after realizing he made a terrible mistake. He escapes the disabled vehicle searching for help and when a car approaches he recoils in shock upon seeing the driver. This powerful beginning hooks one in immediately then segues into the meat of the story. A high school teacher in the small town of Auburn, Iowa, Jessica Chamberlain is the mother of her son Max, age 13, and her adopted child Gabe, five. Because her physician husband, Evan recently became secretive and spends long hours allegedly at work, Jess requests a separation. While Jess prepares herself and the kids for school, she receives an early morning phone call from Deputy Mike Mullen from Scott County, Minnesota. This alarms her, but what is most disconcerting is that he is questioning Jess about Evan. He describes a man who was discovered killed in a hunting accident with no identification and Jess's telephone number in his pocket. Jess states this could not be Evan for he is not a hunter and does not meet Mullen's description. She dismisses the call as a fluke, but when she checks in at Evan's clinic, she hears he hasn't been in all week. When Jess and the boys arrive at school, a nagging feeling persists warning something is amiss. She confers with her best friend Meredith who tries to set her mind at ease, but is unsuccessful. Later, when called to identify the body, Jess's father accompanies her but she claims it definitely is not Evan, though deep inside she knows it is. Time passes with Jess digging into Evan's whereabouts during the weeks they've been apart. She discovers he was fixated on Gabe's biological mother—a woman Jess held no desire to be in touch with and was happy they chose a closed adoption. Then Max slips with a comment about her, piquing Jess's curiosity even more. "'Is that what he was hiding from me?' Jess asked now, more to herself than to Cate. Obviously, Evan had let the conversation drop at the time, but he had silently, secretly pursued it on his own. "'I think so,' Cate said . . . 'I'd better get going. But yes, that's what I came to tell you. Evan was in contact with Gabe's birth mother. He even met her a few times.'" Jess becomes preoccupied with Evan's pursuit of Gabe's mother, looking for any clues she can find. She learns she has been reported to Child Services for recent neglect, and she freaks out. No one loves her kids more than she. When Meredith, a social worker for CSS arrives with the police to remove the boys from her care, she questions her friend's loyalty. Somewhat confusing are the headings to Jess's chapters which consist of names and identifications of different young women. Why is Evan seeking them? The reason concerning such information becomes apparent about two-thirds through, clearing up the question. 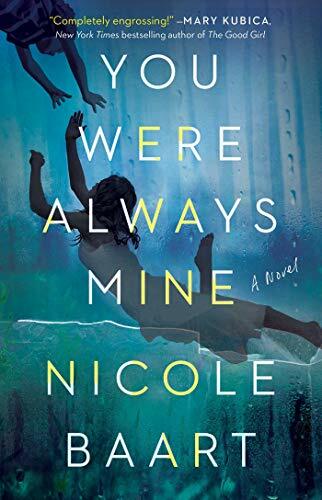 An emotional and heart-rending tale, You Were Always Mine provides a look into each character's head. Riveting and compelling, we learn how a mother's love holds no bounds when it comes to her children.